Symptoms of Molly | Is Ecstasy Addictive after One Dose? What are the Symptoms Molly Addiction? AddictionWhat are the Symptoms Molly Addiction? 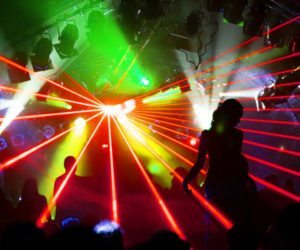 The Club Drug: What are the symptoms of Molly? Molly is a drug produced in illegal labs that people abuse to stimulate the central nervous system to achieve a euphoric, “high” feeling. Its name is a slang term for “molecular.” A common misconception about Molly is that it is the same as the drug ecstasy, whose chemical name is MDMA for short. However, the U.S. Drug Enforcement Agency has found in many instances that much of the Molly that is seized rarely contains MDMA. Instead, the drug often contains other synthetic compounds, such as methylone, MDPV, 4-MEC, 4-MMC, and more. These compounds have unique effects on the brain and body that create the symptoms of Molly abuse. However, Molly, ecstasy, and MDMA all contain nervous system stimulants that can be addictive. The drug is usually available as a capsule, tablet, or liquid form. People often take this drug as a “club drug” when they are partying at a rave or other gathering. They often take this drug in addition to other drugs, such as alcohol or marijuana. The euphoric feelings created when using the drug can lead to MDMA addiction. Dopamine: Dopamine is a neurotransmitter that can give off feelings of euphoria when a person uses it. They may also feel more energetic. Norepinephrine: Norepinephrine can cause harmful effects to a person because it increases their heart rate and sometimes blood pressure. Serotonin: Serotonin is a chemical that causes a person to feel a sense of elevated mood and even sexual stimulation. They become very interested in touch and experience feelings of emotional closeness to those the person is partying with. Other symptoms of Molly abuse include nausea, blurred vision, sweating, teeth clenching, and muscle cramps. These effects can last anywhere from three to six hours. However, a person will experience the effects of withdrawal symptoms long after this, usually a week. Examples include irritability, depression, memory loss, poor appetite, and aggression. Molly is rumored to be the “pure” form of ecstasy, containing less artificial filler ingredients than ecstasy does. However, this has rarely proven to be true as drug manufacturers may add any number of ingredients to the pills, which are often pressed into different shapes or colors. Some people may believe that some pill types or colors are the “good” forms of Molly. However, the formulations of the drug can vary. This is why abusing Molly can be extremely dangerous as a person does not ever truly know what they are taking. While the FDA has not yet approved medications to treat MDMA addiction, there are drug treatment approaches available. Examples can include cognitive-behavioral therapy, where a person can learn how to say no to the temptations to use Molly and learn healthy behaviors associated with sobriety. → All About Suboxone: Is Suboxone an Opiate?